Rainy days are a drag, but you know what always works to turn the gloom around? A steaming bowl of your favorite soupy dish, that’s what. Read on for our top weather-proof picks from around Metro Manila! 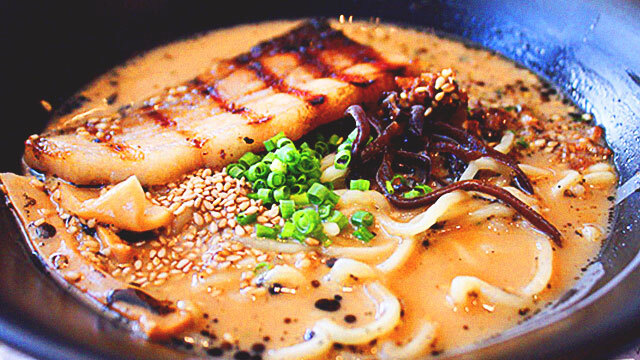 There’s a reason why people are still queuing up for a bowl of Ippudo’s ramen despite being open for more than two years now—and it’s not just because they topped the 2016 edition of Spot.ph’s Top 10 Ramen Places in Manila. All their offerings are great, but for the first time diner, the Shiromaru Motoaji ramen is a great introduction. 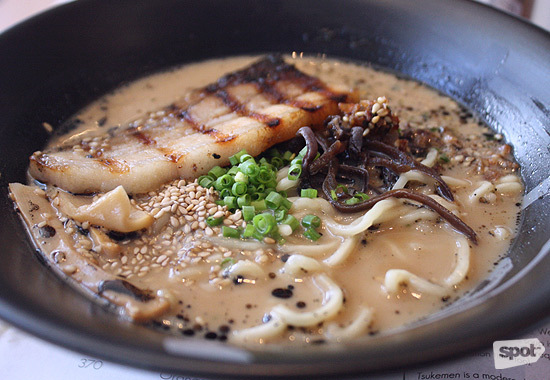 This tonkotsu ramen boasts of freshly made noodles, flavorful broth, and unbelievably soft charsiu slices, making it a dish you can eat every day without getting umay. Ippudo is located at the Mega Fashion Hall, SM Megamall, Mandaluyong City. QC dwellers would normally balk at the thought of driving all the way down to Alabang just to eat, but you’d be surprised by the number of northerners who’d gladly go on a pilgrimage down South for Spot.ph favorite Ramen Yushoken. 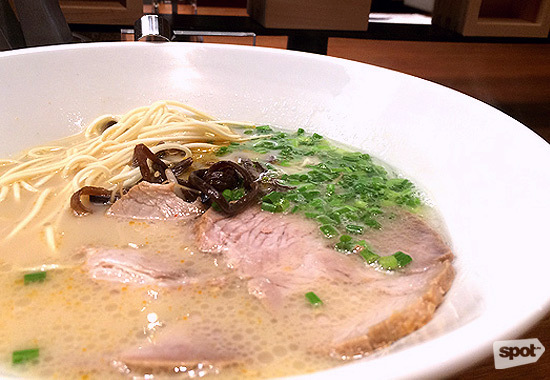 Diners can’t go wrong with the Shoyu ramen, a savory offering of perfectly chewy noodles swimming in a rich broth, crowned by a hefty slice of charsiu meat. We’re salivating just writing about it! 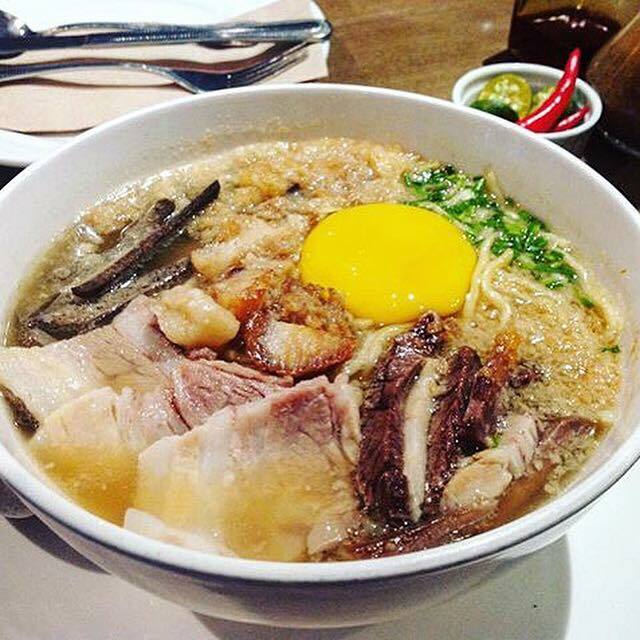 Ramen Yushoken is located at the Molito Complex, Alabang, Muntinlupa City. Locavore is known for dishing up Pinoy favorites with a modern twist, and their lugaw is no exception. 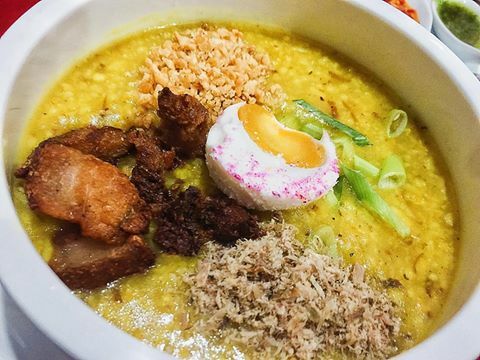 Spot.ph describes their Duck Lugaw with Foie Gras as a sosyal take on the humble merienda staple, with pork floss, crispy duck flakes, and generous slices of foie gras swimming in the rice grains. Trust us, your lugaw standards will never be the same after this. Locavore is located at 10 Brixton Street, Kapitolyo, Pasig City. If you’re a Makati denizen craving for your goto fix, we recommend checking out Goto Monster, located in San Antonio Village. Their Special Goto is served with tinapa flakes, giving it a savory twist. You can also get your goto with mushrooms or bagnet if you want! For a really filling meal, order it with your pick of the side dishes on their menu. Goto Monster is located at Primo de Rivera Street cor. Pablo Ocampo Sr. Extension, La Paz, Makati City. 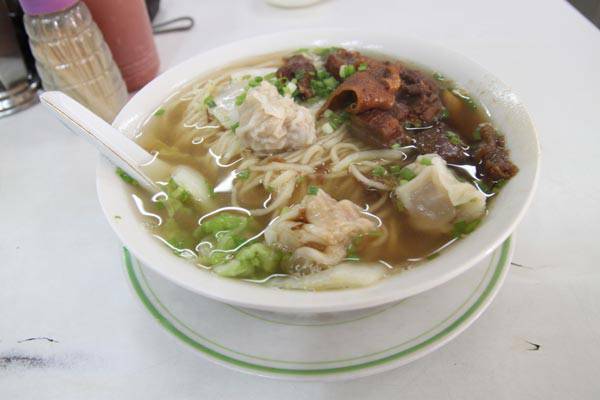 This Binondo staple immediately comes to mind upon hearing the word "mami." 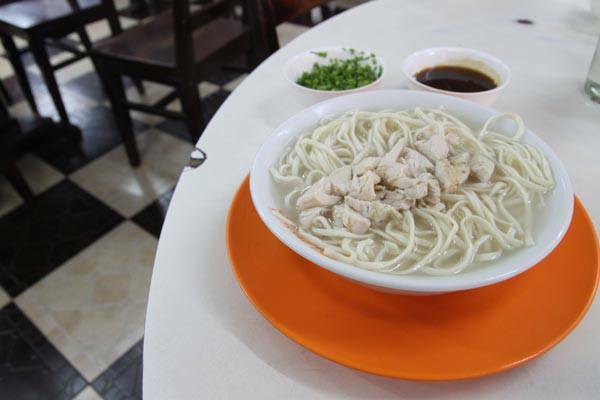 Their Chicken mami is a classic, but in an interview with Pepper.ph, Ian Ma, the great-grandnephew of THE Ma Mon Luk, recommends the Beef Wonton Chicken Asado Special mami. Keep that in mind for your next Binondo trip! Masuki Mami House has branches at Benvidez Street, Binondo, Manila; Sekai Center Bldg., Ortigas Ave. cor Madison Street, Greenhills, San Juan; SM Megamall Bldg. B, Mandaluyong City; SM Mall of Asia, Pasay City; and Lucky Chinatown Mall, Binondo, Manila. Ling Nam’s another dependable restaurant if you need to satisfy your mami cravings. Their Beef And Wonton mami is flavorful and well-balanced, with tasty noodles and generous chunks of beef and wonton. Definitely worth a visit to Manila! 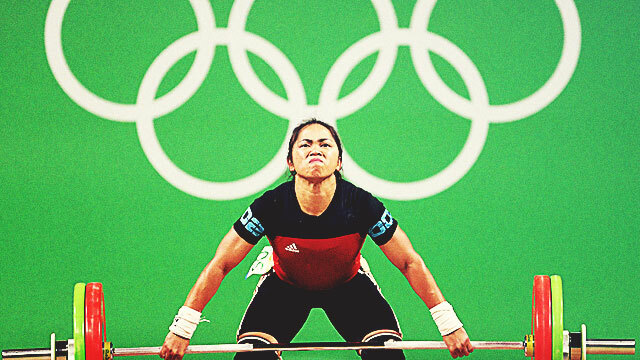 Ling Nam has branches at Alonzo St., Sta. Cruz, Manila; Banaue St., Quezon City; Greenhills Shopping Center, San Juan City; and Shopwise Commonwealth, Commonwealth Ave., Quezon City. 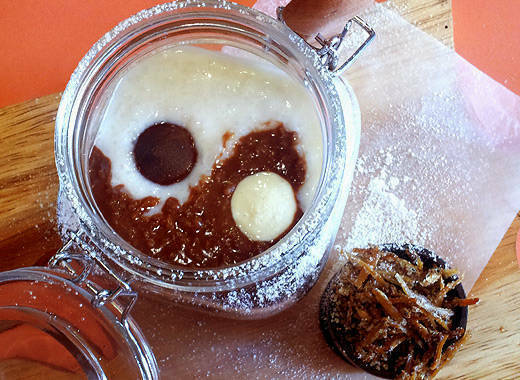 It’s so easy to dismiss Early Bird Breakfast Club’s Yin Yang Champorado as a gimmicky concoction, but this chocolatey treat tastes as good as it looks. The combination of dark and white Belgian chocolate ensures you’ll finish every bite, and the accompanying dilis provides a nice break from the monotony of sweetness. Early Bird Breakfast Club is located at Fort Pointe 2 Bldg., The Fort complex, 28th Street, Bonifacio Global City, Taguig. A lot of people overlook Tapa King in favor of its flashier fastfood counterparts, which is a shame since this joint’s got a lot of food gems. Their milk-drizzled champorado, for one, is a great find, and tastes like it was straight out of your mom’s own kitchen. 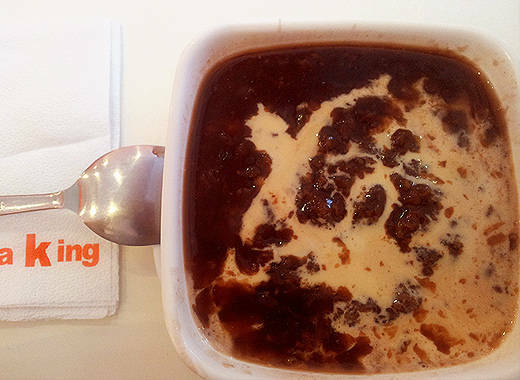 Eat it with their tuyo for an easy-on-the-wallet champorado fix! Tapa King has branches all over the Philippines. Click here to find a branch near you. It’s difficult to find good Vietnamese fare here in the Philippines that are as cheap as the real deal. Luckily, there’s Jam and Viet, which caters to your Vietnamese cravings without burning a hole in your budget. 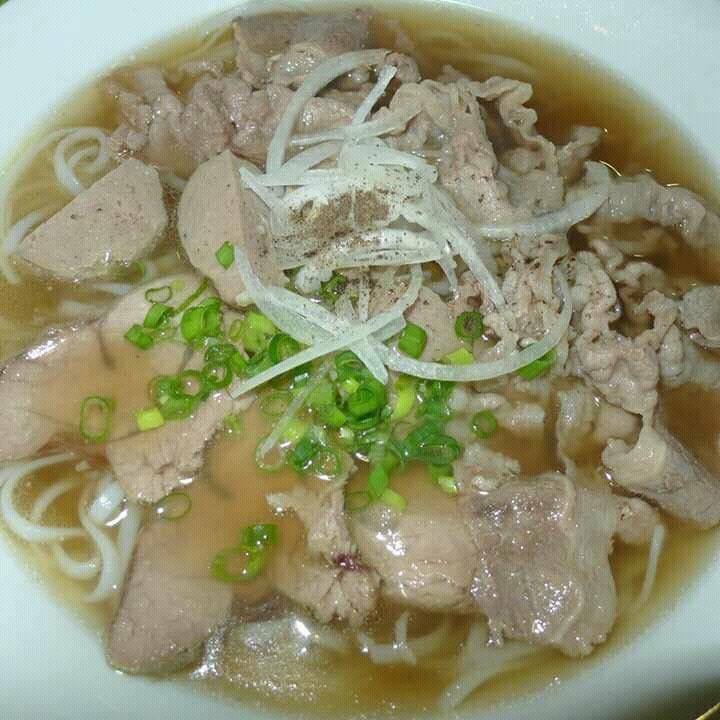 Their Beef Pho, which has a hefty amount of beef balls in addition to the requisite beef strips, is a total steal at P148. The noodles are tender, and the add-ons are as generous as you can get. For that price, you’d be hard-pressed to get a better deal! Jam and Viet Sandwich House is at 3792 Mascardo Street, Sta. Cruz, Makati. 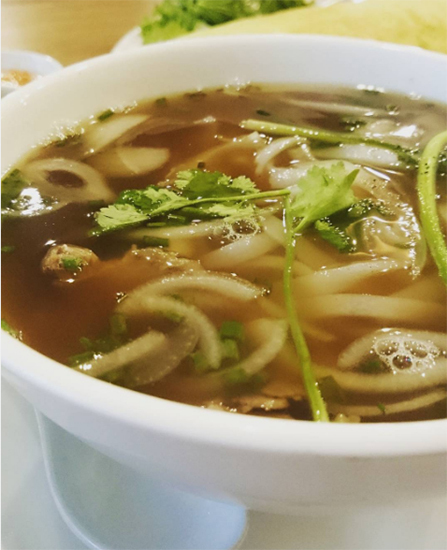 Ba Noi’s Pho Bo boasts of a well-seasoned broth, firm yet chewy noodles, and tender beef slices—the building blocks of good pho. Pile on the add-ons according to your personal taste, but for maximum flavor, try a generous squeeze of lime in your broth. Ba Noi’s has branches at UP Town Center, Quezon City; Estancia Mall, Capitol Commons, Pasig City; and Perea Street, Legazpi Village, Makati City. Chef JP Anglo is a whiz at whipping up the Panay and Negros regions’ heartiest dishes, and his batchoy is no exception. His Special Batchoy is topped with a generous dose of garlic bits, liver, and onions, as well as an egg yolk, grilled bacon, and delectable bone marrow for an extra sinful touch. Trust us, we’d go here every day if our cardiologists would allow us. Sarsa Kitchen + Bar has branches at Bonifacio Global City, Taguig; SM Mall of Asia, Pasay City; and Rada Street, Makati City. 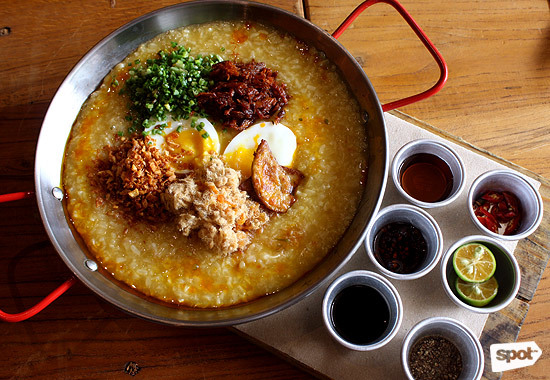 Backyard’s batchoy offering is definitely not your run-of-the-mill Negrense staple. 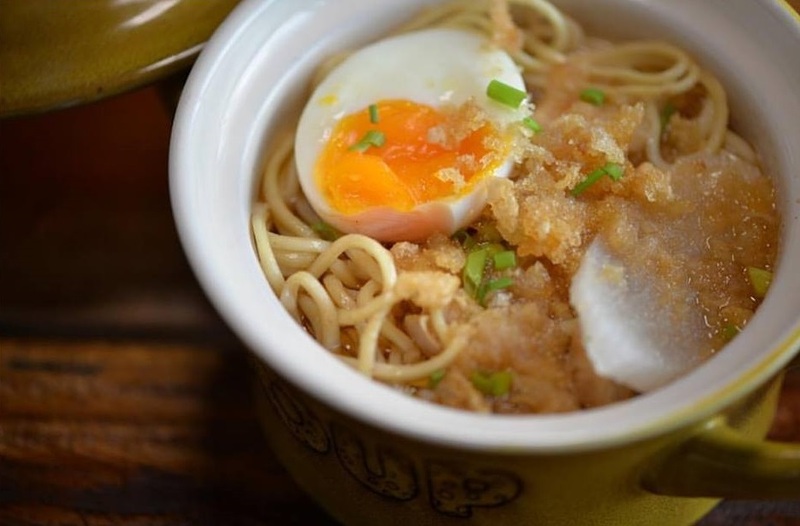 Their Sinigang na Batchoy combines egg noodles, pork offal, and egg with kamias broth. You’ll have to try it for yourself to see if it lives up to the hype! Backyard Kitchen + Brew has branches at the UP Town Center, Quezon City; The Grove Rockwell, Pasig City; and Circuit Makati.